This baby blanket is a must for the newborn! It’s equal parts love and cotton and you won’t be able to stop holding it in your hands, sure in the knowledge that your child will feel the same warmth and softness as you. The plain pattern and neutral colors make it a safe, comforting and perfect gift for baby showers for girls and boys. The link to the full pattern is below. 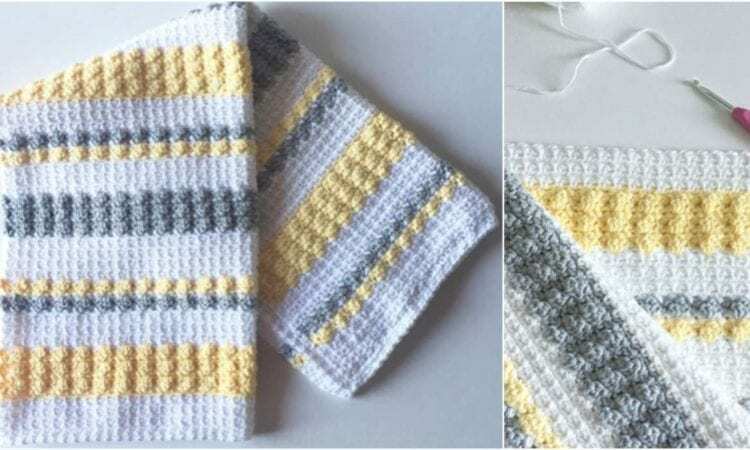 Crochet Gray and Yellow Bobble and Mesh Stitch Blanket – the free crochet pattern is here. For more ideas and free crochet patterns join our Facebook group. Crochet Miracle Heart Mandala. Blankets and Carpets.